Apart from Flexo Folder Gluer (FFGs), we also invest in Automatic Folder Gluer. The Auto Folder Gluer is used when our FFGs reach their maximal capacities. Folder Gluer is one essential stage for a made-to-order corrugated carton box. 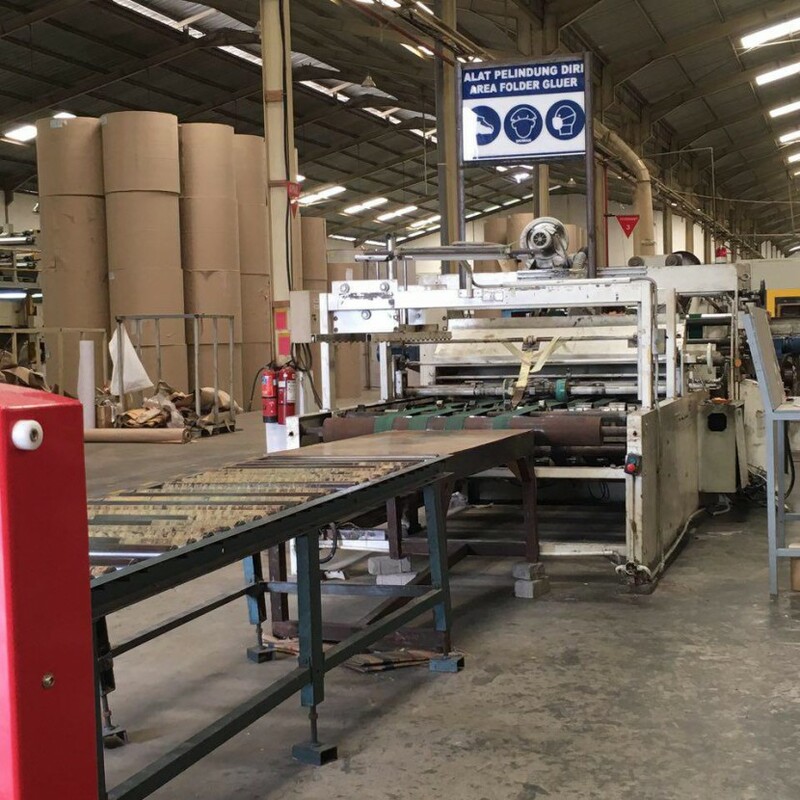 Through this machine, we ensure that the carton boxes are sealed properly via the glue lap, also known as the manufacturer’s joint. The purpose of the joint is to hold a corrugated box together after production. Next, the boxes will go through folding sections, where the box is folded and the manufacturer's joint is adhered. It is critical that the panel or lap with the glue folds before the panel or lap it is being adhered to. The joining of the manufacturer’s joint must be carefully overseen to ensure that the joint is not too tight or too loose. Either one of these scenarios can cause future complications in erecting, filling, and palletizing, resulting in defect product or unusable carton boxes. A gap allows for ease in erecting and filling of the box.